Bacillus licheniformis is a saprophytic bacterium that is widespread in nature and thought to contribute substantially to nutrient cycling due to the diversity of enzymes produced by members of the species. It has been used in the fermentation industry for production of proteases, amylases, antibiotics, and specialty chemicals for over a decade with no known reports of adverse effects to human health or the environment. This species is easily differentiated from other members of the genus that are pathogenic to humans and animals. There are several reports in the literature of human infections with B. licheniformis, however, these occurred in immunosuppressed individuals or following trauma. There are no indications that B. licheniformis is pathogenic to plants. However, there are numerous reports in the literature of an association between B. licheniformis and abortions in livestock. In most reports, there were predisposing factors which may have resulted in immunosuppression of the affected animals. 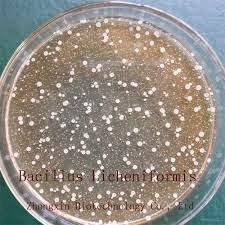 Since B. licheniformis is ubiquitous in the environment and appears to be an opportunistic pathogen in compromised hosts, the potential risk associated with the use of this bacterium in fermentation facilities is low. B. licheniformis has been used in the fermentation industry for over a decade for production of proteases, amylases, antibiotics, or specialty chemicals. The ATCC Catalogue of Bacteria and Phages lists strains which are capable of producing alkaline proteases, alpha-amylases, penicillinases, pentosanases, bacitracin, proticin, 5'-inosinic acid and inosine, citric acid, and substituted L-tryptophan (Gherna et al., 1989). Statistics from ten years ago (Eveleigh, 1981), indicated that industrial microbial fermentation was responsible for production of 530 tons of protease and 320 tons of alpha-amylase on an annual basis. According to Eveleigh (1981), the main industrial protease was one produced by B. licheniformis for use as a cleaning aid in detergents. Other TSCA uses for proteases include dehairing and batting in the leather industry and TSCA uses of alpha-amylase include desizing of textiles and starch modification for sizing of paper (Erikson, 1976). EPA has reviewed, under TSCA, a genetically modified strain of B. licheniformis used for the production of a hydrolase enzyme (P87-1511), and two recombinant strains for production of alpha-amylase (P89-1071, and P92-50). Bacillus licheniformis is a ubiquitous bacterium thought to be of importance in the environment as a contributor to nutrient cycling due to the production of protease and amylase enzymes (Claus and Berkeley, 1986). Although the actual numbers in existence in the environment for this species have not been determined, in general, bacilli occur at population levels of 106 to 107 per gram of soil (Alexander, 1977). B. cereus is isolated most frequently from soils; however, this is thought to be due to its ability to crowd-out other species in enrichment culture rather than reflecting an actual predominance in soils (Norris et al., 1981). Unless a soil has been recently amended with organic matter which provides for readily utilizable nutrients for vegetative cells, the bacilli exist predominately as endospores. It is thought that between 60 to 100 % of soil populations of Bacillus exist in the inactive spore state and that these endospores are capable of surviving for many years (Alexander, 1977). The genus Bacillus consists of a large number of diverse, rod-shaped Gram positive (or positive only in early stages of growth) bacteria which are capable of producing endospores that are resistant to adverse environmental conditions such as heat and desiccation (Claus and Berkeley, 1986). Typically, the cells are motile by peritrichous flagella and are aerobic. The genus consists of a diverse group of organisms as evidenced by the wide range of DNA base ratios of approximately 32 to 69 mol% G + C (Claus and Berkeley, 1986) which is far wider than usually considered reasonable for a genus (Norris et al., 1981). B. licheniformis is ubiquitous in nature, existing predominately in soil as spores. Unlike other bacilli that are typically aerobic, B. licheniformis is facultatively anaerobic, allowing for growth in additional ecological niches. The microorganism is usually saprophytic. Its production of proteases and ability to break down complex polysaccharides enables it to contribute substantially to nutrient cycling (Claus and Berkeley, 1986). Certain members of the species are capable of denitrification; however, their importance in bacterial denitrification in the environment is considered to be small asthe bacilli typically persist in soil as endospores (Alexander, 1977). The Bacillus species B. subtilis, B. licheniformis, and B. pumulis are closely related, and historically, there has been difficulty distinguishing among the three species. Gordon (1973), who conducted much of the pioneering work on the taxonomy of the genus, referred to these three species as the subtilis-group or subtilis-spectrum. 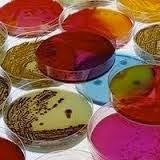 There are several species of the genus which are known pathogens. These include B. anthracis which is pathogenic to humans and other animals, and B. cereus which is a common cause of food poisoning (Claus and Berkeley, 1986; Norris et al., 1981). B. thuringiensis, B. larvae, B. lentimorbus, B. popilliae, and some strains of B. sphaericus are pathogenic to certain insects. Other species in the genus can be opportunistic pathogens of humans or animals. In a numerical classification using 118 characteristics of 368 species of Bacillus, the species B. thuringiensis, B. cereus, and B. mycoides clustered together at 89 - 92% similarity (Priest et al., 1988). The B. subtilis group, to which B. licheniformis belongs, joined the B. cereus group at 72% relatedness. Therefore, there is no difficulty in distinguishing between the toxin-producing strains of Bacillus and B. licheniformis. Bacillus licheniformis is a ubiquitous organism and likely enters the human digestive system many times a day. 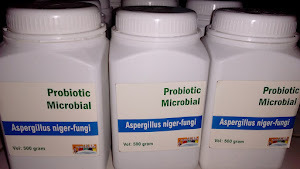 While data regarding its ability to survive in the human gastrointestinal tract are sparse, it is likely that the spores will pass through without causing harm. Outside the gastrointestinal tract, the organism would likely be a temporary inhabitant of skin. Although it can grow over a wide range of temperatures including that of the human body (Claus and Berkeley, 1986), it is unlikely that this microorganism will colonize humans to any large degree. Contact with the microorganism, therefore, would generally be relegated to soil and other environmental sources. While the species itself does not appear to have virulence factor genes, the genus Bacillus is known to be able to acquire plasmids from other bacteria in the environment. There is evidence to suggest that other species of Bacillus, such as B. subtilis, actively exchange genetic information in the soil (Graham and Istock, 1979). It is, therefore, theoretically possible for B. licheniformis to acquire the ability to produce toxins or other virulence factors; however, this has not been demonstrated. A review of the literature by Edberg (1992) failed to reveal toxigenic substances produced by B. licheniformis. While there have been cases of acute, selflimited gastroenteritis associated with the isolation of large numbers of this species, a toxic or direct effect on intestinal epithelia has not been demonstrated. It is difficult to ascertain whether the species in these reported cases, which are quite limited in number, actively participated in the infection or were isolated in conjunction with an unidentified pathogen. Obi (1980) reported that a number of species of the genus Bacillus, including B. licheniformis, B. subtilis, B. megaterium, and B. pumilus, were able to produce a lecithinase. Lecithinase is an enzyme that can disrupt the cell membrane of mammalian cells. 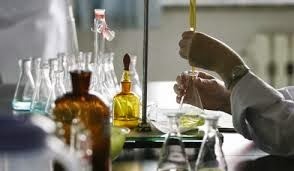 However, there has not been acorrelation with production of this lecithinase and human disease. While not innocuous, B. licheniformis appears to have a very low degree of virulence. It does not produce significant quantities of extracellular enzymes and other factors likely to predispose it to cause infection. The species has been isolated a number of times from human infections. The literature (cited below) suggests that there must be immunosuppression or trauma in order for infection with this species to occur. Farrar (1963) divided human infections by species of Bacillus into the following groups: (1) local infections of a closed space, such as the eye, in which the organism is inoculated in high numbers secondary to trauma, (2) mixed infections in which the species of Bacillus is found in the company of other organisms with higher virulence properties, and (3) disseminated infections, usually in profoundly immunosuppressed individuals, in which the species is recovered from multiple sites, usually including the blood stream. Reviews of Bacillus infections from several major hospitals have indicated the relative lack of virulence of B. licheniformis. For example, Ihde and Armstrong (1973) reviewed cases at Memorial Sloan Kettering Cancer Hospital over a 6-1/2 year period. Unidentified species of Bacillus were isolated in twelve cases of infection, two of which were felt to be serious. Banerjee et al. (1988), reviewing all Bacillus bacteremia cases during a sixyear period from 1978 to 1986, found 18 febrile patients experiencing 24 episodes of bacteremia. B. licheniformis was isolated from one case. Of these 18 patients, 15 had lymphoma or leukemia and three had breast cancer. Nine of the patients had neutrophil counts of less than 1000. Seven of these patients had an indwelling Hickman catheter in place. Scanning and transmission electron microscopy from one of the Hickman catheters showed Bacillus organisms growing in a biofilm inside the Hickman catheter. By comparison, during the same period, there were 1,038 cases of bacteremia. In a review article, Logan (1988) reported several infections produced by B. licheniformis. One case was an ophthalmitis, a corneal ulcer, following trauma (Tabbara and Tarabay, 1979). Other cases included septicemia and bacteremia, and peritonitis with bacteremia in a patient with an upper small bowel perforation (Sugar and McCloskey, 1977). In the literature, there is also circumstantial evidence implicating B. licheniformis as a cause of food poisoning (Gilbert et al., 1981; Kramer et al., 1982). Fuchs et al. (1984) and Pessa et al. (1985) described Bacillus infections associated with intravenous catheters. In a 10 year review of records at the YaleNew Haven Hospital, B. licheniformis was isolated four times as a cause of infection (Edberg, 1992). In two patients the species was associated with eye trauma; in one patient it was associated with a silicone-based implant; and in the fourth patient it was associated with metastatic lung cancer. Edberg (1992) concluded that the virulence characteristics of B. licheniformis are very low. He stated that in order to achieve an infection, either the number of microorganisms must be very high or the immune status of the host low. While the possibility of infection with B. licheniformis is low, it is not nonexistent. B. licheniformis is not a human pathogen nor is it toxigenic. It is unlikely to be confused with related species that are. However, if challenged by large numbers of this microorganism, compromised individuals or those suffering from trauma may be infected. There are numerous reports in the literature on the association of B. licheniformis with livestock abortions (for a more detailed account, see McClung, 1992). In a recent review article, Logan (1988) stated that isolations of B. licheniformis from bovine and ovine abortions appear quite regularly in the Veterinary Record by the Veterinary Investigation Service and the Scottish Investigation Service, especially after wet summers when the silage is of low quality. Ryan (1970) reported the isolation of B. licheniformis in two cases of cattle abortion. Although it was not possible to attribute this microorganism as the causal agent, attempts to demonstrate other infectious agents yielded negative results. Likewise, Mitchell and Barton (1986) also reported isolation of only B. licheniformis in three cases ofbovine abortion. The presence of the B. licheniformis in fetal stomach contents suggests that the bacterium is capable of entering the bloodstream of the adult animals and crossing the placenta to the fetus. Johnson et al. (1983) reported the death of 15 calves due to B. licheniformis infection in a herd in Scotland. In all cases, no viruses or bacteria other than B. licheniformis were isolated from the stomach contents and internal organs. However, this herd apparently was debilitated by (1) an earlier infection with BVD (bovine viral diarrhea) virus which is known to cause immunosuppression in cattle, and (2) a severe vitamin A deficiency from poor quality, moldy hay. The authors speculated that the feeding for three months on poor quality hay had exposed the calves to a heavy challenge of B. licheniformis both through ingestion and inhalation. According to a veterinary diagnostician in this country, the incidence of bovine abortion caused by members of the Bacillus genus (both B. licheniformis and B. cereus grouped together) was 3.5% of the total abortions and stillbirths examined (8,962) over a 10-year period in South Dakota (Kirkbride, 1993). The total number of abortions and stillbirths caused by all bacteria was 14.49%. Bacillus ranked second in frequency of occurrence, after Actinomyces pyrogenes. The fact that abortions associated with Bacillus species are less common compared to other microorganisms, particularly viruses and fungi, has resulted in very little research being conducted to investigate whether B. licheniformis is the actual causal agent in these cases. The veterinary diagnostics laboratories in this country make attempts to isolate any and all microorganisms present in the aborted fetuses which are sent to them for inspection. However, there is no determination of whether the organism(s) isolated are the etiological agents and often there is little background information supplied as to whether there were predisposing factors which may have led to compromised immune systems in the animals. B. licheniformis has also been reported to be associated with abortions in swine (Kirkbride et al., 1986). Members of the genus Bacillus have also been associated with abortions in sheep (Mason and Munday, 1968; Smith and Frost, 1968), however, in both these latter reports, species identification was not made. There are also reports in the literature of associations of B. licheniformis with bovine mastitis (Logan, 1988) and goat mastitis (Kalogridou-Vassiliadou, 1991).In addition, Wright et al. (1978) reported a water-borne B. licheniformis infection in laboratory mice which resulted in depressed hemoglobin content, white cells and platelet counts. Many of the reports on livestock abortion have suggested that B. licheniformis is a causal agent. This has been shown to be the case for B. cereus where inoculation of the microorganism resulted in cattle abortion (Wohlgemuth et al., 1972). As yet, no one has confirmed B. licheniformis as the actual etiological agent in animal abortions. This literature also suggests that in these cases of B. licheniformis infection, the livestock was in a compromised immune state. According to Kirkbride (1993), the immune reaction at the junction of the maternal and fetal placentas is suppressed, most likely to prevent rejection of the fetus. Consequently, opportunistic microorganisms, even with low virulence, have the ability to multiply and cause lesions, and result in abortion. No reports in the literature were encountered that suggested that B. licheniformis is a plant pathogen. There was no mention of any plant pathogenic activity in Bergey's Manual of Systematic Bacteriology (Claus and Berkeley, 1986) nor in the U.S. Department of Agriculture list of pathogens under the Federal Plant Pest Act (7 CFR 330, et seq.). B. licheniformis is capable of producing several antimicrobial compounds. It produces the antibiotics licheniformin (Callow and Hart, 1946), bacitracin (Johnson et al., 1945), and at least one other antibiotic from a certain strain, 2725 (Woolford, 1972). 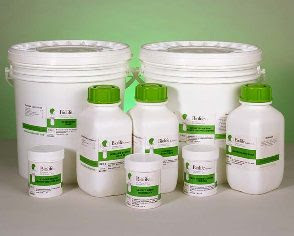 Bacitracin is active mainly against Gram positive bacteria, whereas the antibiotic from strain 2725 is active against various Gram positive and Gram negative species (Woolford, 1972). These antibiotics have been shown to be produced in culture, however, the importance of antibiotic production in regulating the soil community and the significance in the environment is unknown (Alexander, 1977). B. licheniformis has been shown to be inhibitory to the growth of various fungi and has recently been investigated for its use as a biocontrol agent of several fungal pathogens. Shigemitsu et al. (1983) noted malformation of Fusarium oxysporum f. sp. cucumerinum caused by metabolite(s) produced by B. licheniformis when the organisms were cultured together. Scharen and Bryan (1981) also showed that metabolites of B. licheniformis produced in culture were antagonistic to Pyrenophora teres, the cause of net blotch of barley. When applied to the leaves of barley seedlings, B. licheniformis established itself and prevented infection by the fungus. Likewise, B. licheniformis was shown to be antagonistic to Pyrenophora tritici-repentis which causes wheat tan spot (Mehdizadegan, 1987). Singh and Dwivedi (1987) reported that B. licheniformis reduced the growth of Sclerotium rolfsii sacc. (the causal agent of foot rot ofbarley) by 31% in mixed culture. The metabolites alone produced by the bacilli in culture were also inhibitory to the pathogen. In addition, B. licheniformis was shown to be antagonistic to Phymatotrichum omnivorum, the cause of cotton root rot (Cook et al., 1987). Although B. licheniformis and/or products produced by the microorganism are inhibitory to the growth of numerous other microorganisms in the environment, due to the widespread nature of this bacterium, it is unlikely that any perturbations in microbial community structure would occur by the potential release of additional numbers of these microorganisms to the environment from fermentation facilities operating under the conditions of the exemption. The issue of livestock abortions is the most serious environmental hazard identified for B. licheniformis. However, it has not been scientifically established that B. licheniformis is the causative agent. B. licheniformis appears to be an opportunistic pathogen that may create problems in immunocompromised livestock. However, livestock abortions associated with Bacillus species are infrequent compared to other microorganisms. B. licheniformis is considered a Class 1 Containment Agent under the National Institute of Health (NIH) Guidelines for Research Involving Recombinant DNA Molecules (U.S. Department of Health and Human Services, 1986). This microorganism also falls under the Class 1 Containment under the European Federation of Biotechnology guidelines (Frommer et al., 1989). No data were available for assessing the release and survival specifically for fermentation facilities using B. licheniformis. Therefore, the potential worker exposures and routine releases to the environment from large-scale, conventional fermentation processes were estimated on information available from eight premanufacture notices submitted to EPA under TSCA Section 5 and from published information collected from non-engineered microorganisms (Reilly, 1991). These values are based on reasonable worst-case scenarios and typical ranges or values are given for comparison. B. licheniformis is a common saprophytic inhabitant of soils and is capable of producing endospores when vegetative growth conditions are unfavorable. Unlike most bacilli, growth occurs under anaerobic conditions as well as aerobic, and occurs at temperatures as high as 55C (Claus and Berkeley, 1986). The endospores produced by B. licheniformis resist severe heat treatment (Claus and Berkeley, 1986). Specific data comparing the survivability of industrial and wildtype strains of B. licheniformis were not available in the existing literature. However, the ability of B. licheniformis to produce highly resistant spores and grow under a wide range of conditions indicates that released strains are likely to survive outside of containment. Estimates of the number of B. licheniformis organisms released during production are tabulated in Table 1 (Reilly, 1991). The uncontrolled/untreated scenario assumes no control features for the fermentor offgases, and no inactivation of the fermentation broth for the liquid and solid waste releases. Thecontainment criteria required for the full exemption scenario assume the use of features or equipment that minimize the number of viable cells in the fermentor off-gases. They also assume inactivation procedures resulting in a validated 6log reduction of the number of viable microorganisms in the liquid and solid wastes relative to the maximum cell density of the fermentation broth. These are "worstcase" estimates which assume that the maximum cell density in the fermentation broth for bacteria is 1011 cfu/ml, with a fermentor size of 70,000 liters, and the separation efficiency for the rotary drum filter is 99 percent. Specific data which indicate the survivability of B. licheniformis in the atmosphere after release are currently unavailable. Survival of vegetative cells during aerosolization is typically limited due to stresses such as shear forces, desiccation, temperature, and UV light exposure. However, its ability to survive in a broad habitat range and produce endospores suggests that this organism may survive after release. As with naturally-occurring strains, human exposure may occur via inhalation as the organisms are dispersed in the atmosphere attached to dust particles, or lofted through mechanical or air disturbance. Air releases from fermentor offgas could potentially result in nonoccupational inhalation exposures due to point source releases. To estimate exposures from this source, the sector averaging form of the Gaussian algorithm described in Turner (1970) was used. For purposes of this assessment, a release height of 3 meters and downward contact at a distance of 100 meters were assumed. Assuming that there is no removal of organisms by controls/equipment for offgases, potential human inhalation dose rates are estimated to range from 3.0 x 103 to 1.5 x 106 cfu/year for the uncontrolled/untreated scenario andless than that for systems with full exemptions. It should be noted that these estimates represent hypothetical exposures under reasonable worst case conditions (Versar, 1992). The concentrations of B. licheniformis in surface water were estimated using stream flow values for water bodies receiving process wastewater discharges from facilities within SIC Code 283 (drugs, medicinal chemicals, and pharmaceuticals). The surface water release data (cfu/day) tabulated in Table 1 were divided by the stream flow values to yield a surface water concentration of the organism (cfu/l). The stream flow values for SIC Code 283 were based on discharger location data retrieved from the Industrial Facilities Dischargers (IFD) database on December 5, 1991, and surface water flow data retrieved from the RXGAGE database. Flow values were obtained for water bodies receiving wastewater discharges from 154 indirect (facilities that send their waste to a POTW) and direct dischargers facilities that have a NPDES permit to discharge to surface water). Tenth percentile values indicate flows for smaller rivers within this distribution of 154 receiving water flows and 50th percentile values indicate flows for more average rivers. The flow value expressed as 7Q10 is the lowest flow observed over seven consecutive days during a 10year period. The use of this methodology to estimate concentrations of B. licheniformis in surface water assumes that all of the discharged organisms survive wastewater treatment and that growth is not enhanced by any component of the treatment process. Estimated concentrations of B. licheniformis in surface water for the uncontrolled/untreated and the full exemption scenarios are tabulated in Table 2 (Versar, 1992). The natural habitat for B. licheniformis is soil. Therefore, longterm survival in soil may be expected to occur. Human exposures via dermal and ingestion routes, and environmental exposures [i.e., to terrestrial, avian, and aquatic organisms (via runoff)] may occur at the discharge site because of the establishment of B. licheniformis within the soil. Although direct monitoring data are unavailable, worst case estimates do not suggest high levels of exposure of B. licheniformis to either workers or the public resulting from normal fermentation operations. Bacillus licheniformis is a ubiquitous, saprophytic, soil bacterium which is thought to contribute to nutrient cycling due to its ability to produce a wide variety of enzymes. This latter feature of the microorganism has been commercially exploited for over a decade. 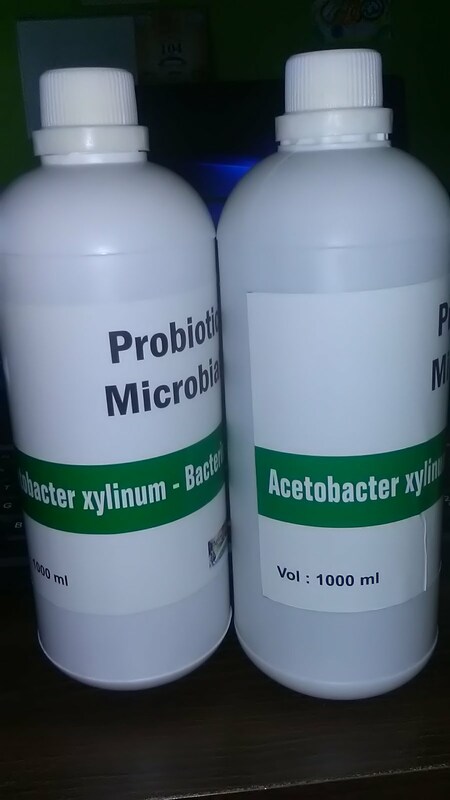 B. licheniformis has been used for industrial production of proteases, amylases, antibiotics, and specialty chemicals with no known reports of adverse effects to human health or the environment. The Agency has reviewed three submissions for production of enzymes using genetically modified B. licheniformis. Although the genus Bacillus is rather heterogenous based on a wide range of DNA base ratios (32 to 69 mol% G + C), the species B. licheniformis is rather homogeneous based on DNA-DNA hybridization studies. Historically, B. licheniformis and two closely related species, B. subtilis, and B. pumilus, were grouped taxonomically into what was known as the subtilis-group. However, recently methods have been developed that allow B. licheniformis to be differentiated from these other species. B. licheniformis is not a frank human pathogen, but has on several occasions been isolated from human infections. Diseases attributed to B. licheniformis include bacteremia, opthalmitis following trauma, and there are reports of food poisoning based on circumstantial evidence. However, the literature suggests that there must be immunosuppression of the host, or there must be trauma (especially to the eye) followed by inoculation in high numbers, before infection can occur. B. licheniformis does not produce significant quantities of extracellular enzymes or other factors that would predispose it to cause infection. Unlikeseveral other species in the genus, B. licheniformis does not produce toxins. Overall, B. licheniformis has a low degree of virulence. Although the possibility of human infection is not non-existent, it is low in the industrial setting where highly immunocompromised individuals would not be present. Infection might be a possibility following trauma, but in the industrial setting with the use of proper safety precautions, good laboratory practices, and proper protective clothing and eyewear, the potential for infection of workers should be quite low. Likewise, the ecological hazards associated with the use of B. licheniformis are low. There are various reports in the literature suggesting that B. licheniformis is a cause of abortion in livestock. However, Koch's postulates have not been satisfied demonstrating that this microorganism was the causal agent. In most these cases, infections with B. licheniformis occurred in animals already in an immunocompromised state resulting from either (1) infection with other organisms or (2) poor nutrition. Apparently, there is immunosuppression associated with maternal and fetal placentas in pregnant livestock, whereby opportunistic microorganisms are capable of causing infection and lesions in fetuses. Although B. licheniformis has not been shown to be an etiological agent of livestock abortion, it has been associated with a number of cases. Even so, the association of B. licheniformis with livestock abortion is quite small compared to the total number of abortions in livestock caused by all other microorganisms, particularly viruses and fungi. The use of B. licheniformis for industrial production of enzymes should not pose environmental hazards. First, the number of microorganisms released from the fermentation facility is low. In addition, B. licheniformis is ubiquitous in the environment, and the releases expected from fermentation facilities operating under the conditions of this exemption will not significantly increase populations of this microorganism in the environment. 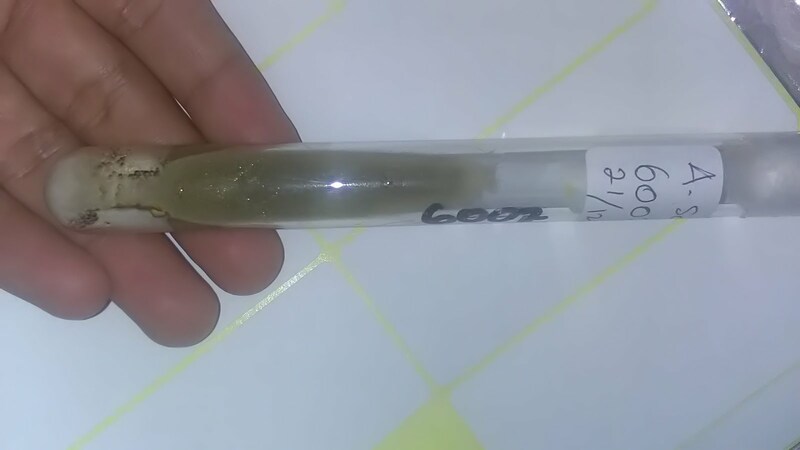 Therefore, although B. licheniformis may be associated with livestock abortions, the use of this microorganism in fermentation facilities will not substantially increase the frequency of this occurrence, even if a scenario for high exposure to B. licheniformis released from the fermentation facility to livestock could be envisioned. In conclusion, the use of B. licheniformis in fermentation facilities for production of enzymes or specialty chemicals presents low risk. Although not completely innocuous, B. licheniformis presents low risk of adverse effects to human health or the environment.